HIIT: the best cardio exercise to melt fat ? Interval training: the best cardio exercise to melt fat ? Monotonic aerobic training, or intensive cardio? Which is better for fat burning? Well, there is something which is way better than both: the interval training! But what is this, and how should you do it? Aerobic, cardio? Which training is better? There are a lot of ways to do aerobic training. Opinions are diverse regarding which is best for fat burning. Which one can we save the most muscles from breaking down? Which is more effective in the long term? Most people find monotonic aerobic training done at about 130 pulse rate the best. Amongst bodybuilders, this is the most popular aerobic type of training, because it is thought to spare the muscles the most. Others like fast-paced cardio much more. But these are the people who don't care about the muscle-breaking effect of this type of exercise. For them, the most important goal is to improve their cardio performance, but of course, most of these people only want to lose weight, no matter the muscle-fat ratio. Lastly, there are people who like to mix both together – this is how the interval training was born. The effect of interval training – is this really the best? There are a lot of scientific research which have shown that the best way to burn fat is to do interval training. This workout boosts the metabolic system even for hours following the workout, so the fat burning effect is long lasting. According to researchers, HIIT (High-Intensity Interval Training) increases the speed of the body's resting metabolic rate. This is due to the fact that the oxygen consumption of the body also increases after HIIT – in an extremely large rate: increased metabolism lasts for 24 hours after the workout! Besides, it also increases the maximal oxygen consumption rate, much better than low intensity monotonic aerobic training. 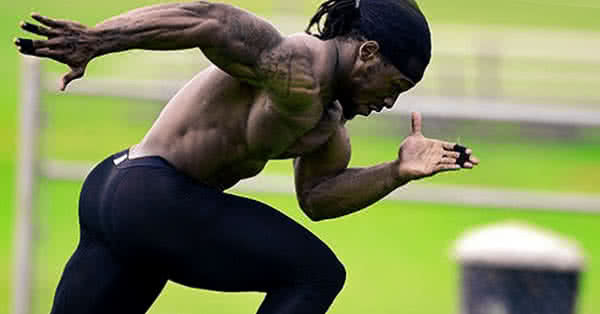 During conventional, low-intensity cardio the body only starts to burn fat after about 30 minutes of training. In case of HIIT this happens a lot sooner, this means that we can burn more fat as energy during training. Besides, HIIT helps to decrease insulin resistance, improves insulin sensitivity of the muscle cells. This is problematic. We are bodybuilders, we can't just run around the house like crazy, can't we? Well, in case of HIIT, we must take the fact into consideration that – later on we will see – due to the nature of the workout, fast-twitch muscle fibers (these are the muscle fibers which are working during weight training too, you know) are also working during HIIT, but for only a short period of time. That is great for two reasons. On the on hand, we burn more calories while sprinting than in case of monotonic cardio, and on the other, because these are short sprints, we don't have to worry about losing muscle mass (at least no so much as in case of hard cardio, like 2-hour spinning). On the contrary, these kinds of workouts also help to minimise catabolic processes. Attention: we do not say that with HIIT you can avoid catabolism completely. Unfortunately, you can't. What we're saying here is that despite high intensity you don't have to worry about it as much as in case of cardio. How long does traditional, monotonic cardio take? At least 45 minutes, but optimally, 60 minutes. Well, a real, intensive interval training takes only about 20-25 minutes. Meaning that you need half a time for a more effective training. Important: HIIT is not for beginners! First, you need to acquire a certain level of fitness to be able to get through this training, so if this is the first time you do cardio, you better start off with monotonic, low-intensity cardio. Let's do this on a treadmill! Start with 5-10 minutes of warmup: walk slowly. The next thing is 60-second rest: walk slowly again to calm down your pulse. Of course, you can substitute walking and running. You can do HIIT on an elliptical machine, stationary bike, etc. You don't need any equipment, you can go outside, and do HIIT outdoors, this is much better than running on a treadmill, which you have to constantly adjust when doing HIIT. So, what are you waiting for, breakfast in bed? :) Try it, it will work, trust us. HIIT is very popular amongst bodybuilders too.